As a fashion and beauty blogger and most importantly a woman I love having my nails done, painting them and trying out new colours. Baby A has also caught onto this and as part of her ongoing battle to quick independence she too wants her nails painted every other week in pretty colours and with nail stickers. Little Bu have a great and unique range of safe, odourless nail polish that provides salon quality without those terrible toxins. The polish also dries quickly, knowing that nobody these days has time to wait for nails to dry (even little girls!) They are also great for the environment as the products are not tested on animals and are vegan friendly! 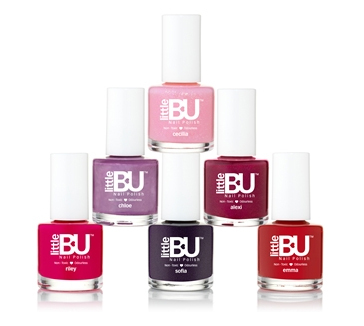 Four lucky winners have a chance to win Little BU prizes which include a bottle from Little BU’s new Spring/Summer line, Top Coat, Little BU Mani/Pedi kit and a pack of Little BU’s 3D Nail Art Stickers! To get the party started, Party Pieces will be offering a Zebra Passion party kit to enjoy with eight friends! Each of the four winners will receive Zebra Party Invites, Zebra Party Treat Box, Zebra Party Napkins, Zebra Party Cups and a sweet Butterfly Lipgloss! To enter, simply go onto the Little BU homepage and enter details on the pop-up!